Game uses the deck without Joker (52 cards). 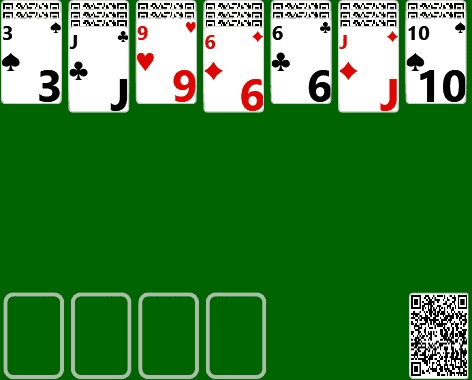 The purpose of the game is make sets of 13 cards in sequence down by same suit from King to Ace and move such sets to the foundations. The 7 tableau columns are built down by same suit. Groups of cards can be moved between tableau columns regardless of sequence. Any card may be moved into empty tableau spaces. Tap a card to select a card. To move the selected card(s), tap on the target card or target area. Double tap card for "auto move". Tap the deck to deal cards. To show or hide bottom panel use the "show/hide" button.